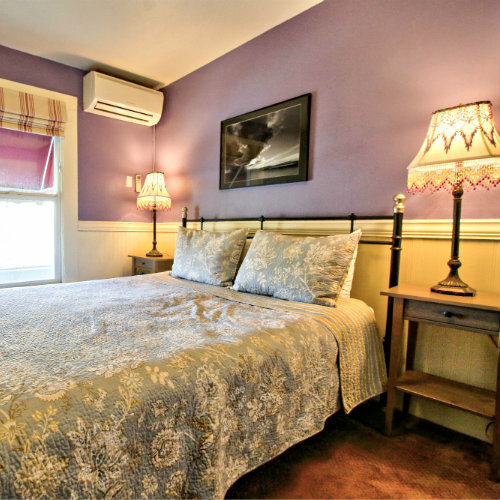 Room 5 has two Twin-sized beds and a private bathroom with a clawfoot tub with shower. 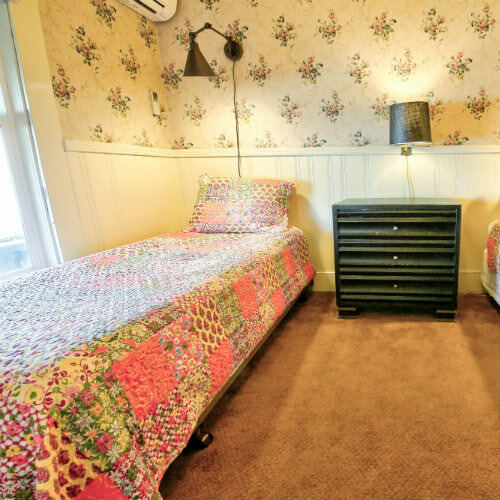 This room is ideal for two travelers though it can accommodate three with a rollaway bed (guests over the age of two incur a $20/night fee) so this is a good value as you price hotels in Groveland, CA, but know that the room is going to be very, very small. If you want to be more comfortable with three people, then please choose an adjoining room or Room 8. 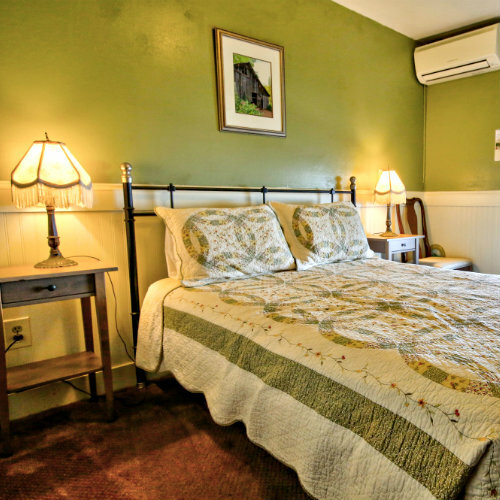 Rates include satellite TV, individual room heat/AC, Wi-Fi, and free phone calls anywhere in the USA. Room 6 at our Groveland hotel near Yosemite National Park has one Queen-sized bed and a private bathroom with clawfoot tub and a shower. 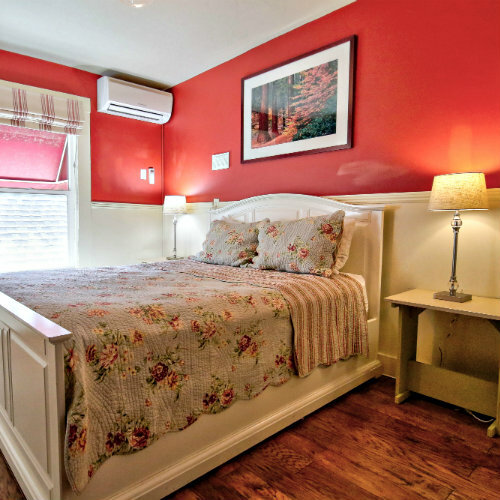 This charming room has lots of color and unique accents and is perfect for two guests. 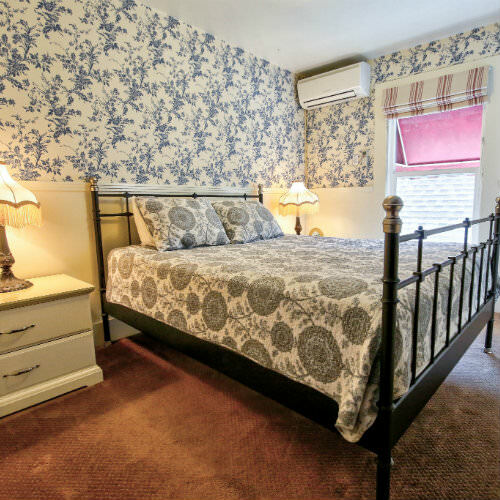 Room 10 is one of our newly renovated traditional rooms and has one queen bed and private bathroom with claw foot tub & shower. The walls in room 10 are adorned with a rich red paint and quaint wainscoting as well as beautiful photographs of Yosemite National Park. 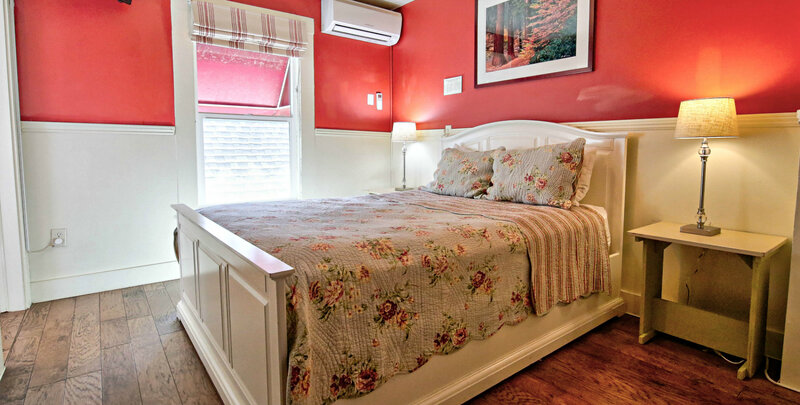 Room 11 has one cozy queen bed and private bathroom with shower. This room is bright and welcoming with fun lavender walls and black and white photographs.